Endurance Survival Kit Packaging: A survival tin salvaged from the ill-fated Endurance. Houses the Lara Croft figure. 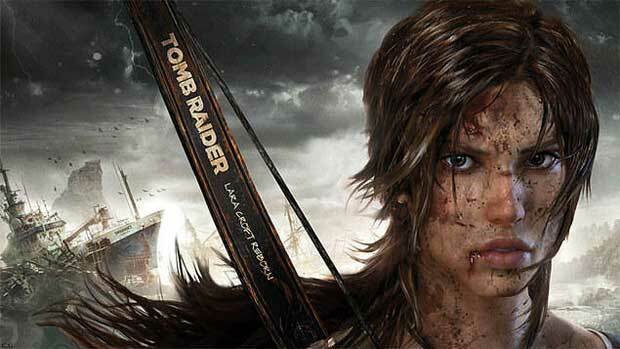 Downloadable Content: Weapons Pack – A selection of weapons to help Lara survive against the island’s inhabitants. So well worth the money. Did you see that Play Art’s Kai figure? OH MY GOODNESS. That is so awesome, I’d spend $99 for that alone. 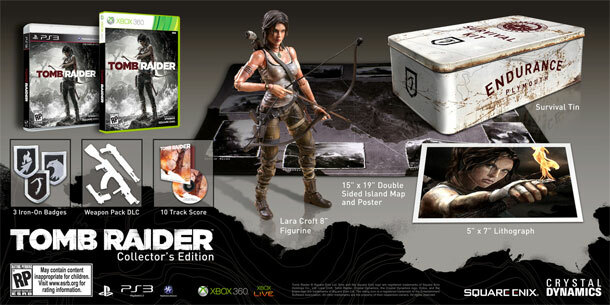 Don’t forget that Tomb Raider is out March 5 for the the Xbox 360 and PlayStation 3, so pre-order this collection soon before supplies run out! Woaw! Oh boy, Oh boy. Good to finally see some news about this. Indeed. I’m glad it’s not something lame like an artbook and a sticker and that’s it. Not that those aren’t cool, but some CE’s come with nothing major so I don’t want to spend the money. You’d better! Or else you’re just missing out! Oh boy! I don’t know if I’ll be able to resist this! It’s a tough one haha! So much cool stuff.